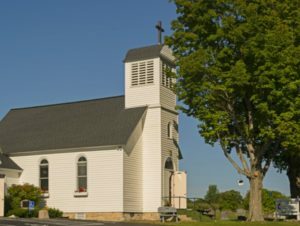 Zion United Methodist Church, located between Fish Creek and Baileys Harbor, is a historic hope-filled community of faith. Celebrating a 138-year history, serving Door County, extending love and care in places of need throughout the world. With a rich history and tradition experienced throughout the generations since its founding, Zion continues to be characterized by worship that flows outward in community service. Today, Zion commits nearly half of all offerings toward mission projects that help alleviate distress, and joins with the global UMC in its world-wide ministries of compassion. In this spirit, the congregation generously supports many outreach projects. Tuition assistance for Northern Door Child Care, supplemental food, heat and medical supplies for area families, and Crop Walk and Blanket Sundays help families locally, throughout the U.S., and to the world’s neighborhoods. 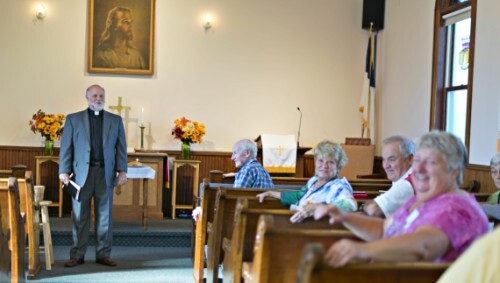 A friendly, welcoming place, Zion invites visitors, friends, and family to a shared experience that binds the congregation in joyful fellowship and service. Celebrations central to life and faith at Zion include hymn sings, activity nights, and potluck fellowship meals. Zion’s story holds our common heritage and hope in its unfolding history. Inviting all to enter the story with humility, the people of Zion strive to live gracefully with love and care in the Spirit of Christ.